How much fun can forty grand buy you in driving fun? Quite a lot, apparently. 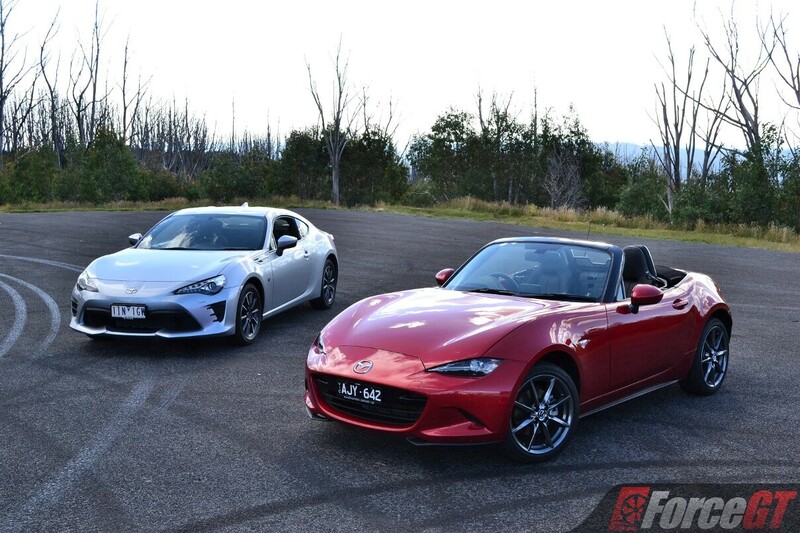 You just have to splash it on either one of these, the Toyota 86 and Mazda MX-5. The recipe both these cars have are simple, yet effective. Engine at the front, gearbox in the middle, and power sent to the rear wheels. Nothing too complicated, but it’s how this pair managed to bring them all together in a manner that will put some three-digit priced cars to shame that’s impressive. In these two, it’s all about the drive and the driver. So, let’s get strapped in. Recently updated for 2017, the Toyota 86 features a larger front grille that emphasises the car’s low and wide stance, restyled front bumper with new “teeth” along the bottom edge of the lower grille, which Toyota says helps smooth airflow. It is flanked by a pair of fog light assemblies that now feature three horizontal streaks. All models now gain reconfigured LED headlights with daytime running lights and LED indicators as standard. Around the back, the taillights have also been redesigned with LED units, along with a restyled bumper. 2017 also brings a more premium look inside the 86, with soft-feel rubber and suede-like materials to lift cabin ambience. 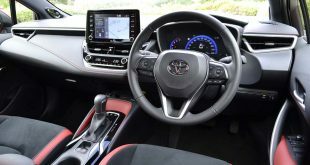 Drivers’ hands now rest on the smallest-diameter steering wheel ever fitted to a Toyota – 362mm with a shape that provides optimal grip. The tachometer has been modified so that the needle points upright at the 7,000rpm mark – the engine speed where maximum power is achieved. Elsewhere, soft knee pads have been built into the door trim and centre console to provide support under high lateral loads, of which there are plenty with the new “track” mode that enables the driver to adjust the level of stability and traction control, including a “fully off” option meant for track use. 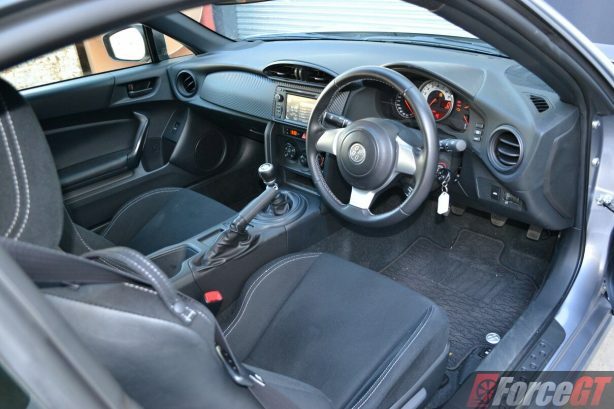 While the updates are welcomed, they aren’t enough to freshen up the 86’s aging interior, which in comparison to the Mazda’s, looks chunky and dated. 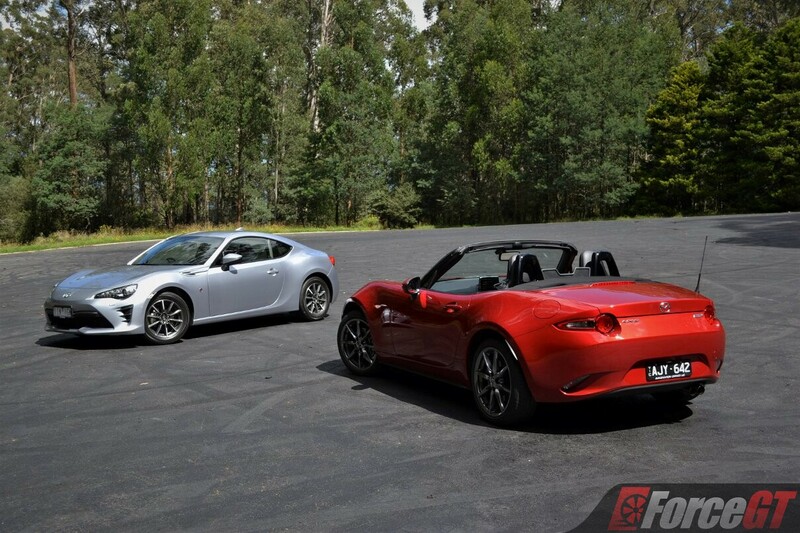 The new Mazda MX-5 is the most compact yet of all generations. 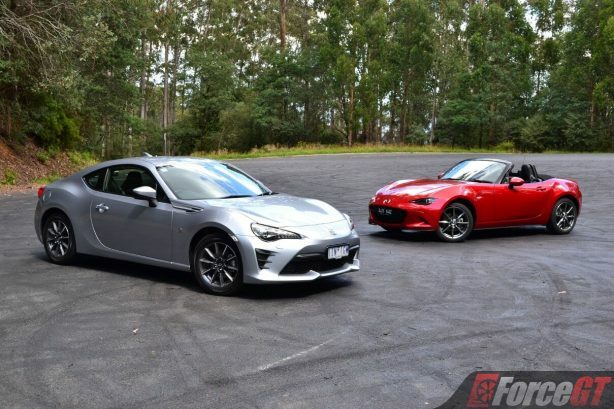 It’s shorter, lower and wider, and at just 1,009kg, it’s over 90kg lighter than the model it replaces, and nearly 250kg down on the Toyota 86. 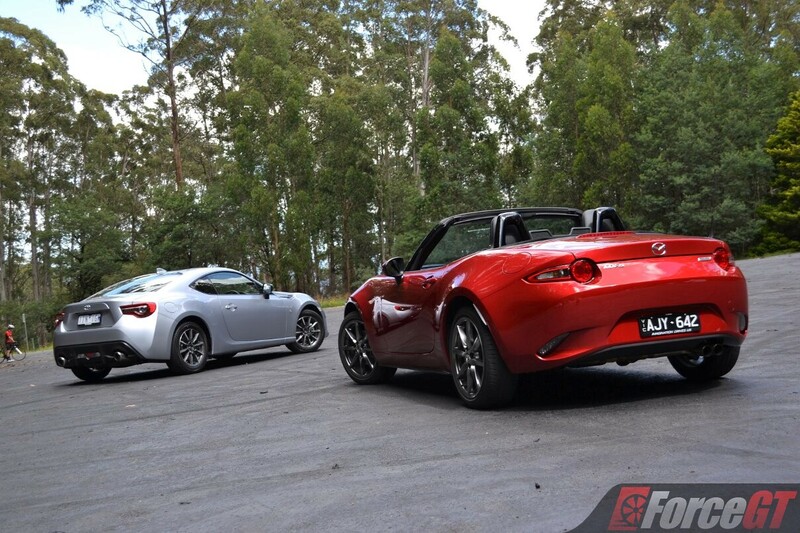 The MX-5’s curvier design is a sharp contrast to the 86’s edgier styling. There are familiar sports car cues such as the long bonnet, low hip point and dynamic stance that will resonate with enthusiasts. 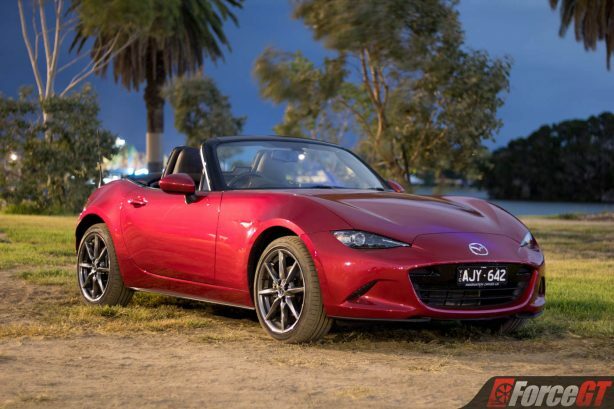 Infused with Mazda’s acclaimed KODO design language, the Mx-5’s short front and rear overhangs, signature trapezoidal front grille, and taut flowing lines that travel from the headlamps to the rear fender lend the convertible a sleeker and more sophisticated look compared to its rival. The manually operated roof is relatively effortless to operate, opening with a pull of the lever mounted ahead of the rear view mirror. 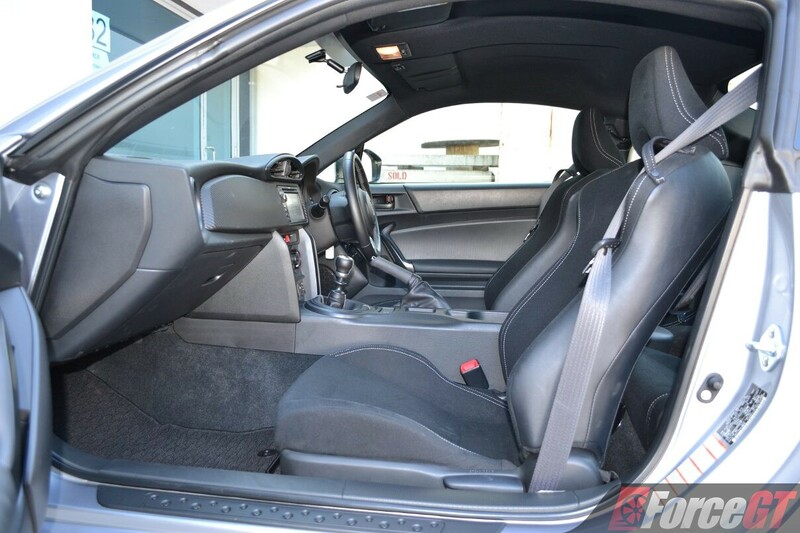 Once unlatched, it’s a matter of pushing it back and locking it into place behind the seats. 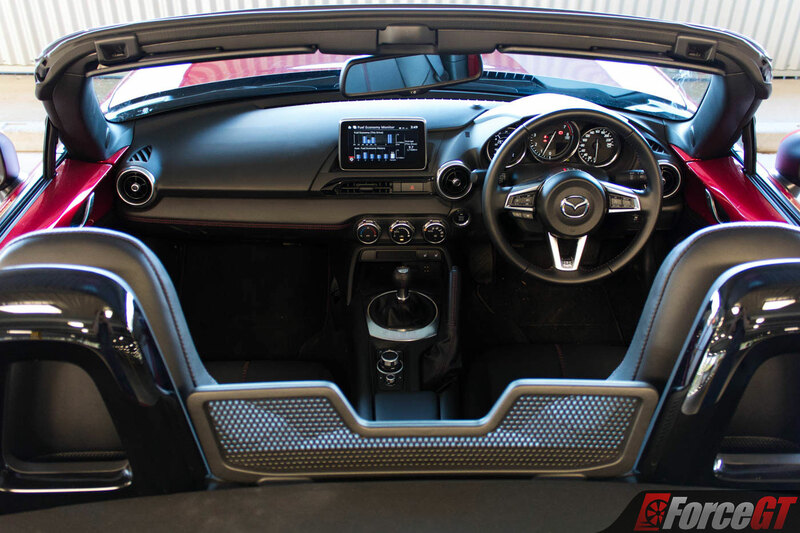 Unlike the 86, the MX-5’s interior is less cluttered, with contemporary design and higher quality materials giving it a more upmarket ambience. The nicely finished satin chrome trimmed three-meter cluster features a large analogue tachometer in the centre, flanked by a speedometer on the right and an information display on the left. Disappointingly, there isn’t a digital speedometer. 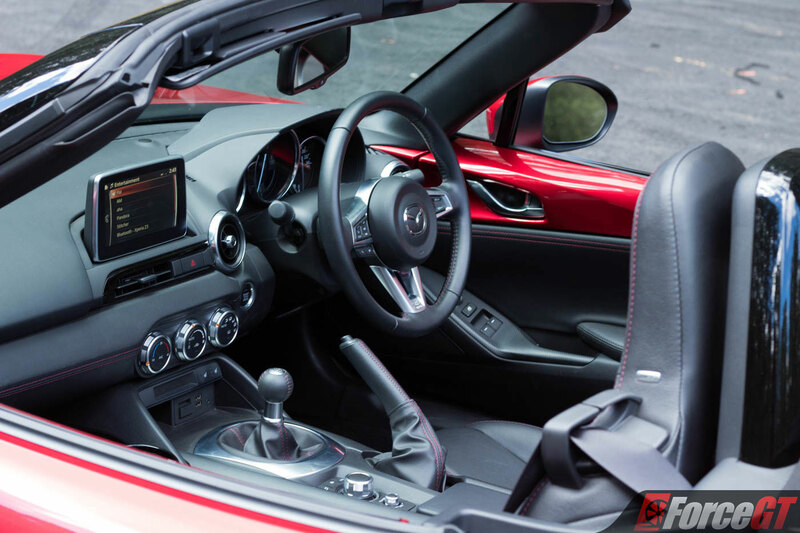 Being a convertible, the Mazda is inherently less practical than the Toyota, with limited storage spaces on the inside, a smaller boot (130 litres against the 86’s 237 litres) and of course, the lack of rear seats (not that they are particularly useful in this class of cars). It’s also the Toyota that has a far better driving position. In fact, it’s near perfect. You sit lower and tighter in the 86 than in the MX-5, which in turn gives a sportier and more driver focused feel. 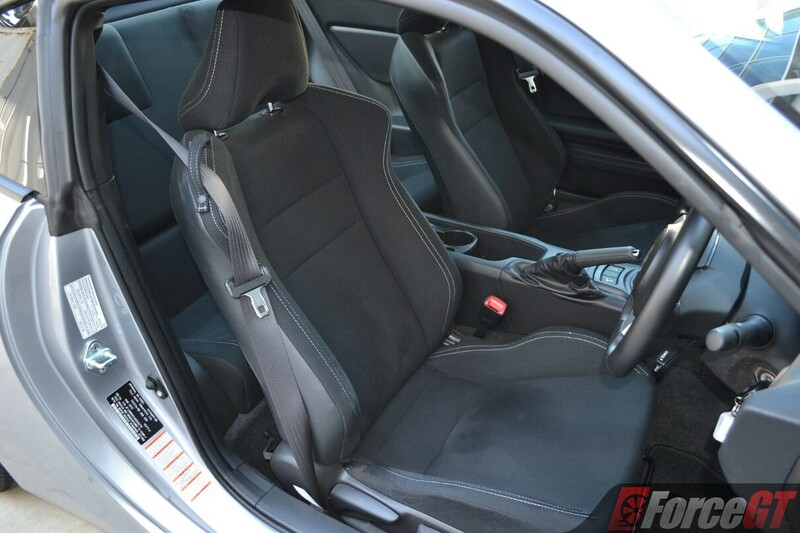 The seats in the 86 are also more supportive and better tailored to the shape of the body. The Toyota 86 gets its power from the 2.0-litre four-cylinder boxer engine shared with its twin – the Subaru BRZ. 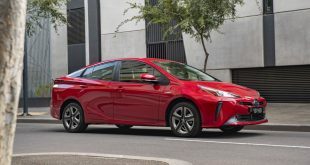 In manual guise, it develops 152kW and 212Nm, a lift of 5kW and 7Nm over the pre-facelift model. 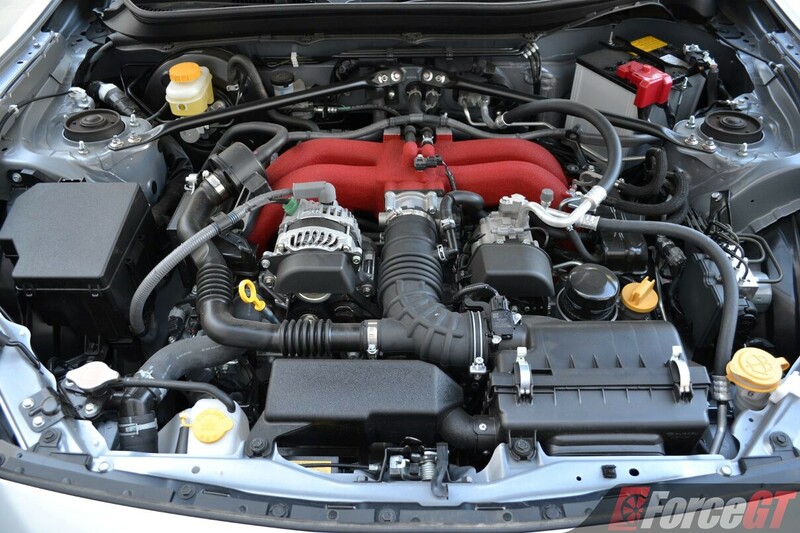 A modest gain but torque is now spread over a 200rpm wider range, from 6,400 to 6,800rpm. 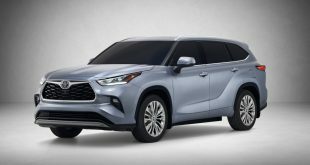 Additionally, the manual variant’s final drive ratio as been revised from 4.1:1 to 4.3:1, improving performance slightly. 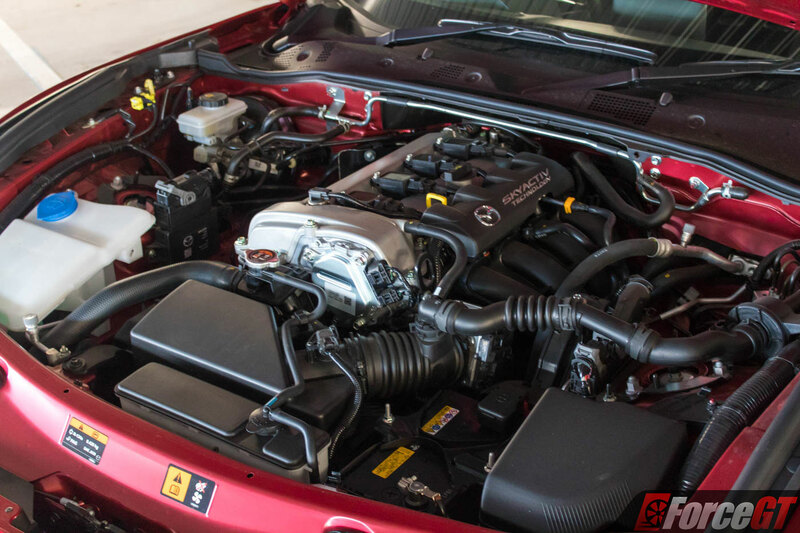 Like the Toyota, the Mazda MX-5 is motivated by a 2.0-litre four-cylinder atmospheric engine. 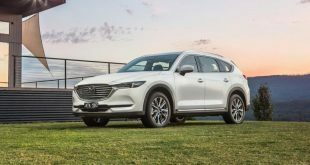 Its 118kW of power is down on the Toyota, but in the Mazda the engine has less weight to haul, and with peak torque of 200Nm available from a lower 4600rpm, it feels stronger and punchier in the mid range. 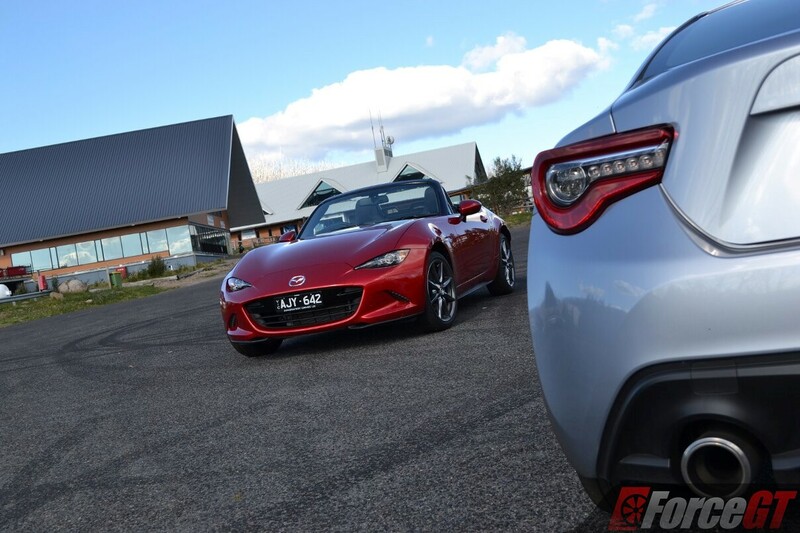 The Mazda’s four pot also sounds deeper and throatier, accompanied by a sporty exhaust note, compared to the trashier soundtrack in the Toyota. 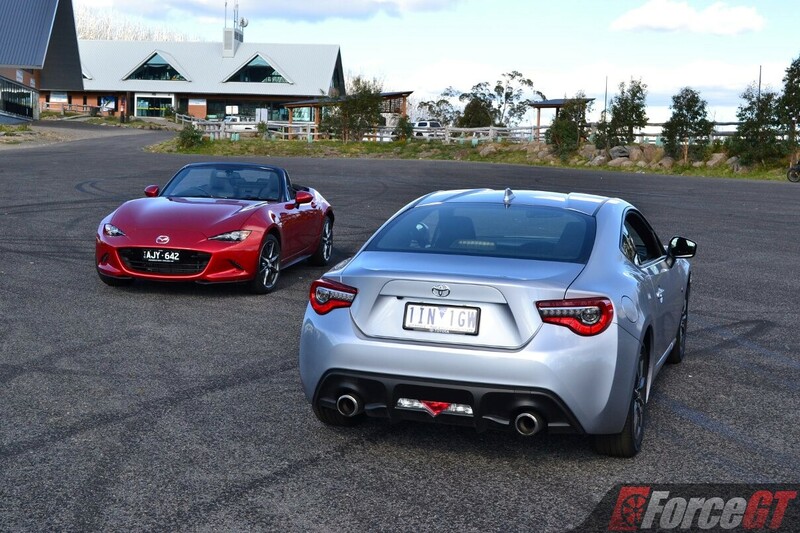 Both cars will do 0 to 100km/h in around 7.5 seconds, but differ vastly in the way performance is delivered. 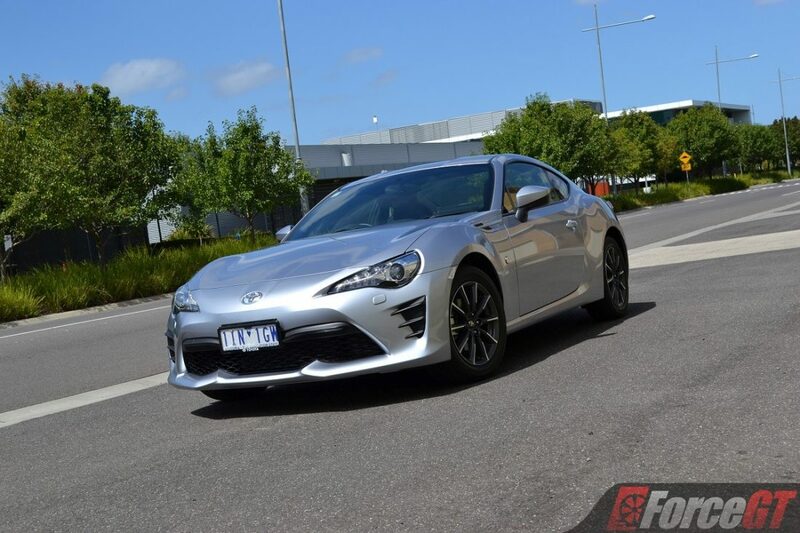 The engine in the 86 spins to a frenzy 7500rpm and it loves to be revved. Good thing it does, because to get any performance out of it, you need to be at above 4000rpm. From here, it’s perky and lively, which make wringing out the 86 a lot more satisfying than the MX-5, especially on a track. 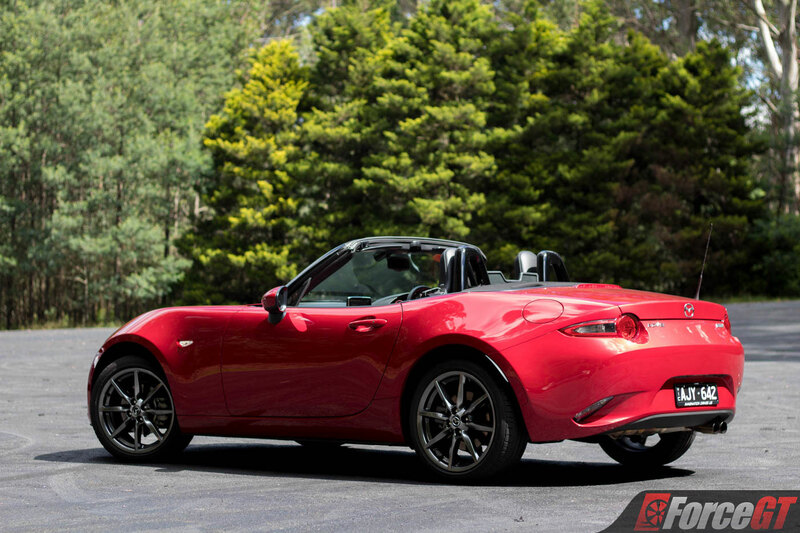 With maximum power coming in at 6000rpm, the MX-5’s power delivery is more linear. Its chubbier mid range means performance is more readily accessible, which makes for an easier car to live with on a daily basis. 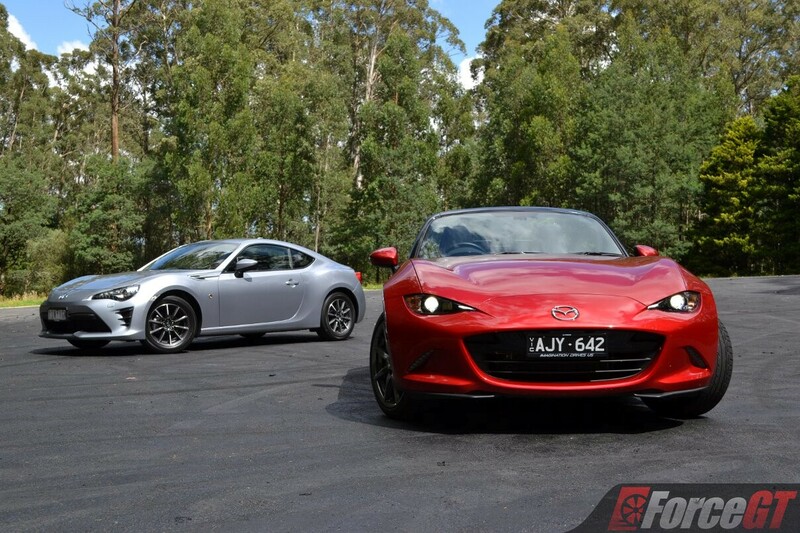 It’s also the six-speed manual gearbox in the MX-5 that feels sleeker and less notchy than its counterpart in the 86. 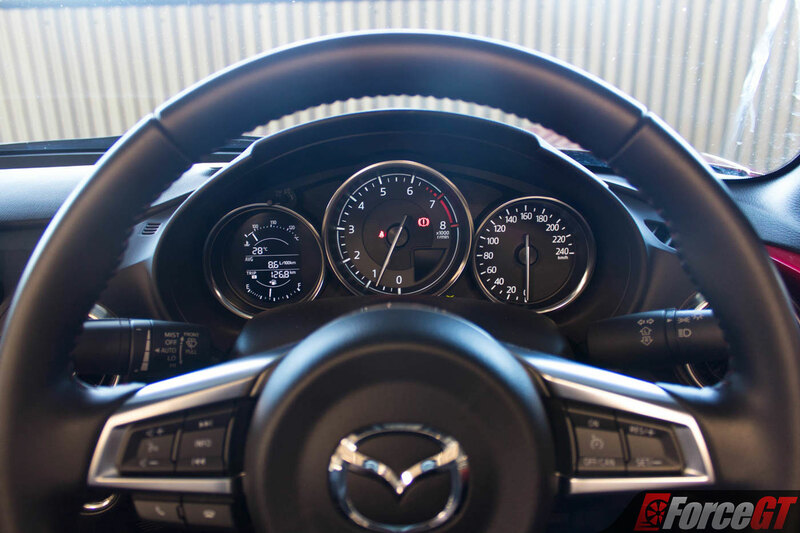 The clutch in the Mazda has a more gradual feel for smoother, less abrupt gear changes. 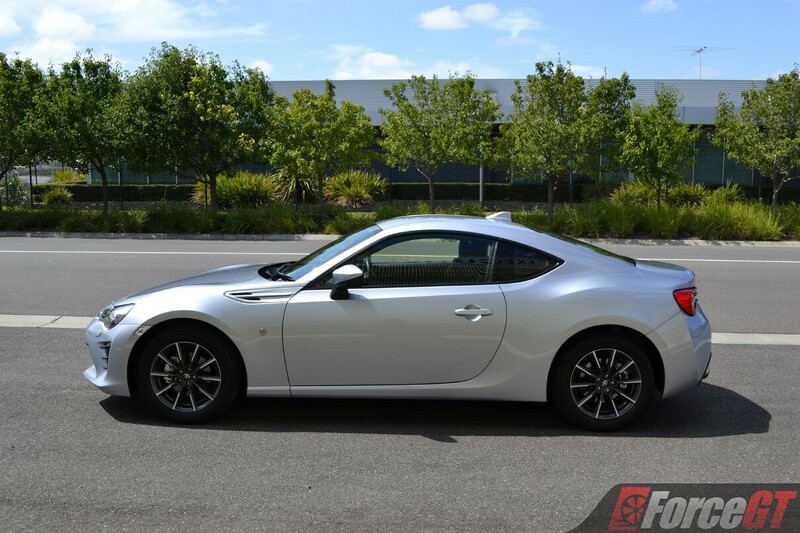 We also prefer the shorter gear ratios in the Mazda over the taller ones in the Toyota, for the former offers a greater sense of acceleration. Regardless of which car you take to a stretch of winding roads – their natural habitat – you are guaranteed to have lots of fun. 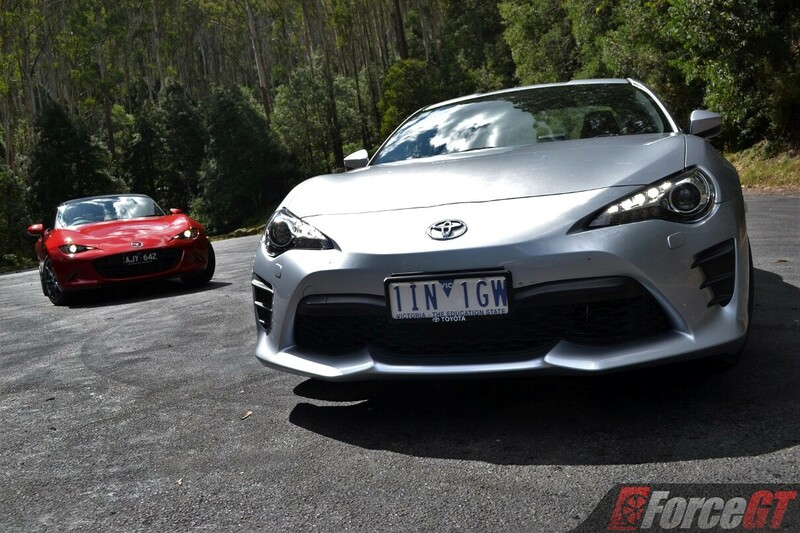 These are some of the best handling cars money can buy. Their balance of feel, communications and enjoyment is a rarity in this price bracket and even beyond. Yet, they offer widely distinctive driving character. The softer MX-5 prefers a neat and tidy approach to proceedings, offering tons of grip from those Bridgestone Potenza S001 tyres. The front end, especially, is beautifully locked down, lending it superior agility and quick direction change. While it can slide, the only way you’ll be breaking the back out is with a big weight shift and some right pedal abuse. 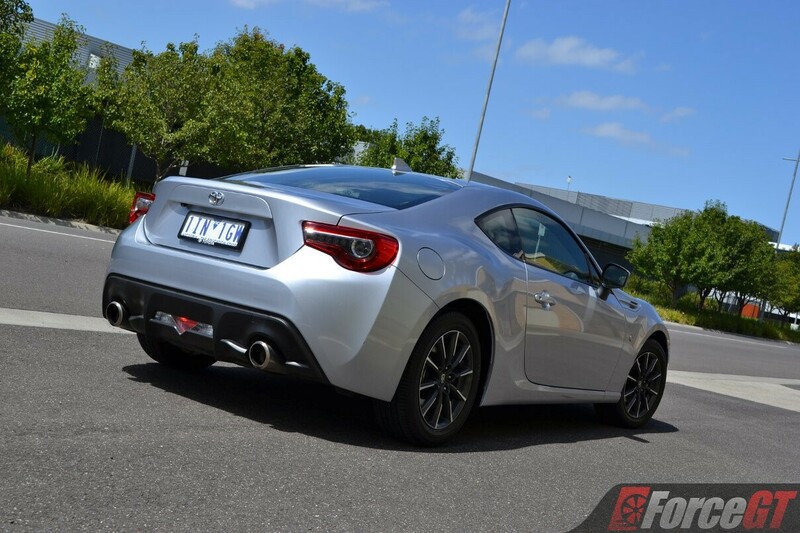 The 86, on the other hand, has a more playful rear axle. 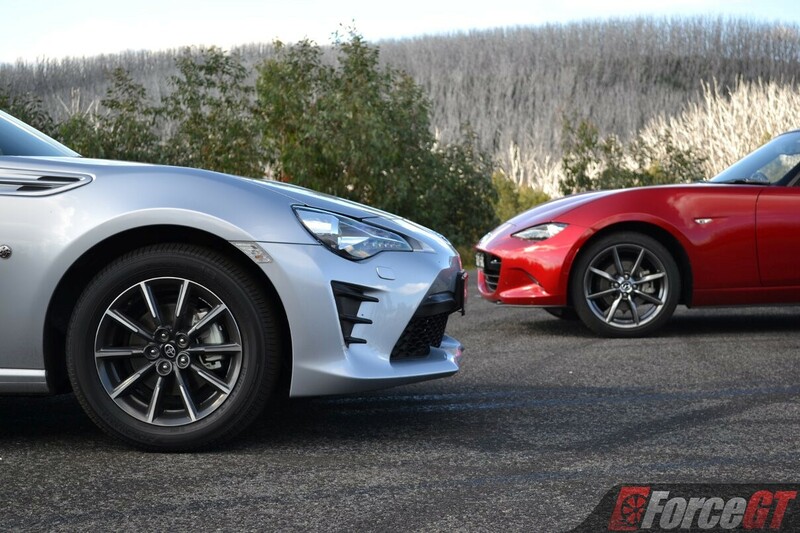 While the MX-5 lets the front wheels do most of the work in a corner, the 86, rolling on Michelin Primacy HPs, benefits from a more cooperative rear end that is ever so eager to step out just slightly to point its nose into the bend. 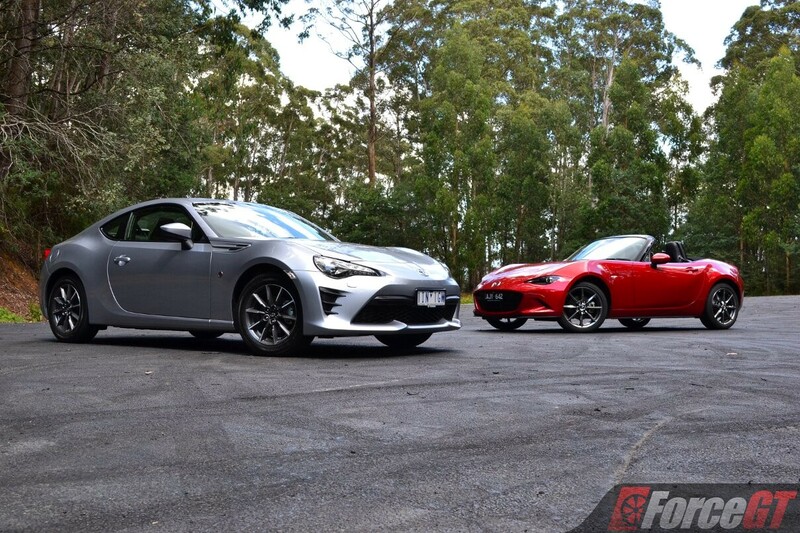 Unlike the MX-5, which is more gradual and predictable, the 86 can feel a bit more twitchy on the limit. But it’s also because of this the Toyota is more edgy and involving. 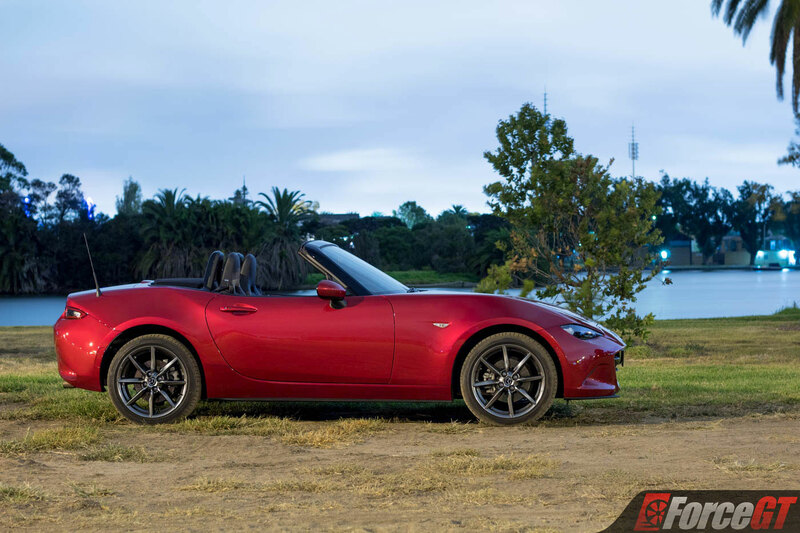 While we can’t fault the steering on each car, both of which provide excellent feedback and good weightage, the brakes in the MX-5 feel a tad more confidence inspiring, with better fade resistance and more progressive feel through the pedal. Both the 86 and MX-5 are very livable day to day sports cars though around town, the Mazda’s softer suspension makes for a slightly more comfortable ride than the firmer Toyota. 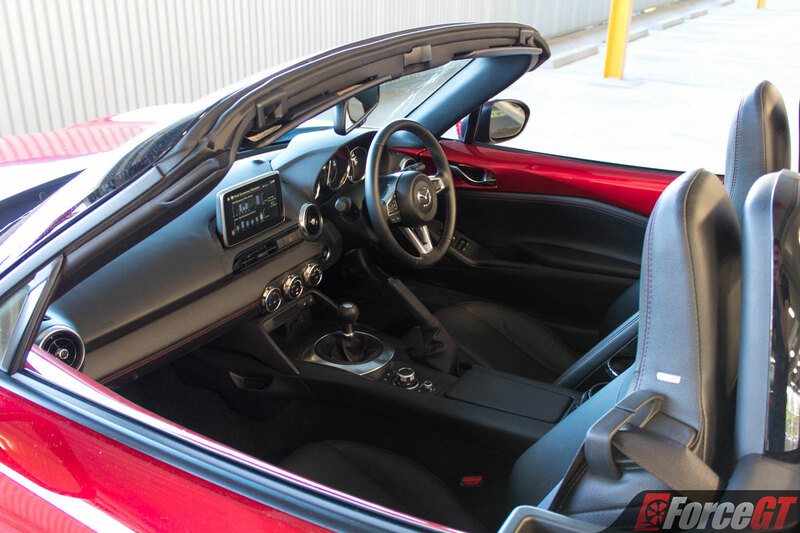 The MX-5’s lightweight construction means sound deadening isn’t a major focus, with wind and road noise largely evident in the cabin at freeway speeds, though it’s still well within acceptable limit. 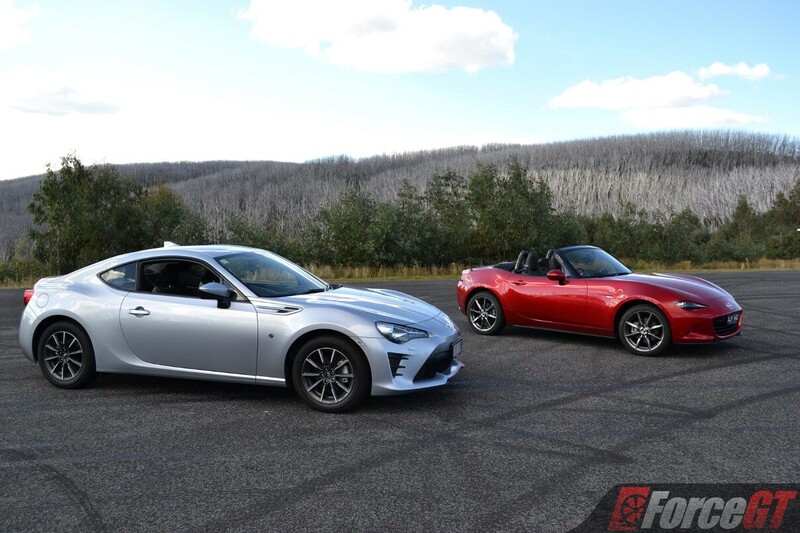 The Toyota 86 and Mazda MX-5 represent the best driver’s car you can buy for under $40,000. They are great looking, reliable, cheap to run and most importantly, immensely fun to drive. 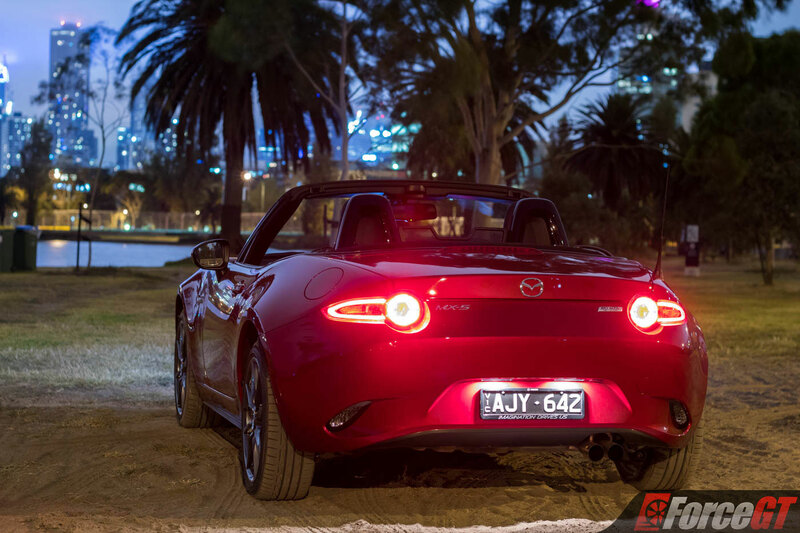 The MX-5 is the more polished of the pair, with a nicer interior, better engine and exhaust note, a more comfortable ride, and a slightly softer and friendlier driving character. 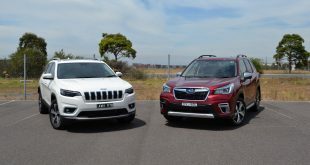 It’s a car that is as enjoyable on a stretch of scenic coastal road as it is on a track or twisty back roads. 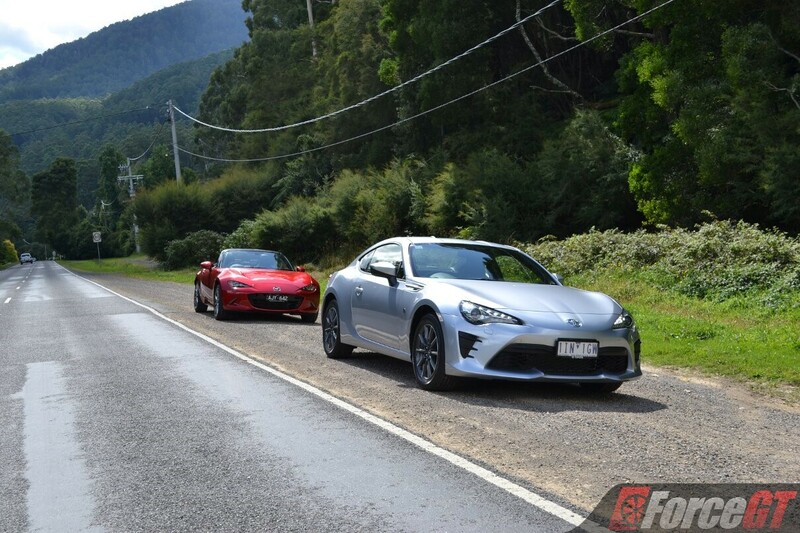 Sharper and more focused, the 86 is the more rewarding car when driven at the limits. 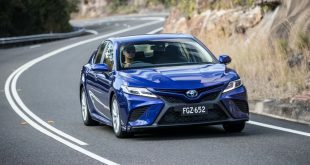 Its more powerful, higher revving engine is a joy to belt and its lower, sportier driving position makes it feel like a more serious sports car. Being a 2+2 coupe, it’s also the more practical of the pair. 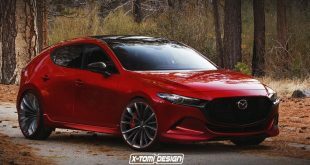 Yet, it’s hard not to be drawn toward the Mazda’s more agile chassis and highly versatile engine. It just feels good driving the MX-5. Would be racer would probably prefer the 86, but for us, it’s the MX-5 that we’d take when it’s time for one last spin.